Fibre is extracted from the sisal plant which grows in tropical Africa, Central and South America and China. The fibre is twisted into yarn and woven into matting, using automatic power looms. Matting is woven in 4 m width and 30 m lengths and is either used as wall to wall floor covering or cut and made into rugs with special borders. Custom made matting can be woven in colours of choice when economic quantities are ordered. 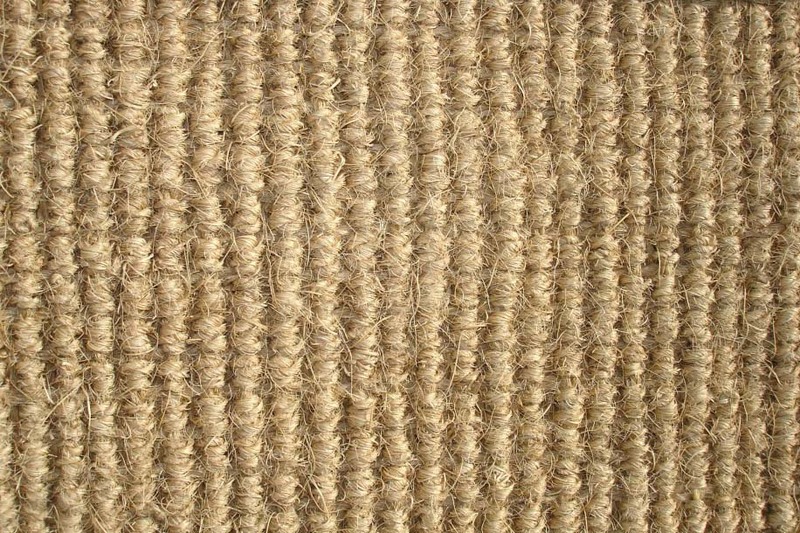 Our sisal matting is woven in China and South America and is available ex stock in The Netherlands in a variety of designs and colours. Seagrass is grown in Asia, mostly in China in marshy fields and needs a touch of sea water in its cycle of crop. Seagrass is harvested by hand and spun into yarn by simple manually operated machines. The yarn is woven into matting using power looms. Matting can be used as wall to wall floor coverings or made into rugs with attractive borders, giving a natural feel to your holiday homes, dining or living rooms. Our seagrass matting is available in a variety of designs. Basket weave (commonly called "Panama"), Boucle (with a loop) and Herringbone. 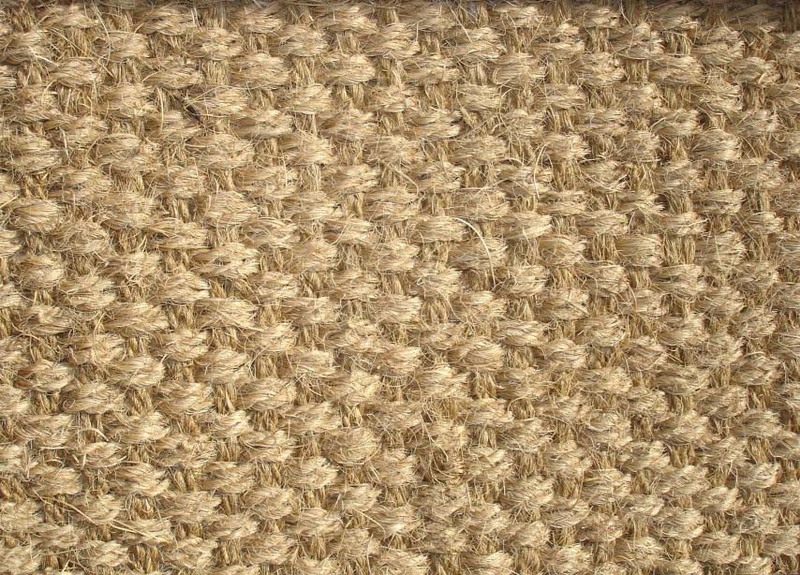 All our coir matting designs are available in natural or bleached colours. 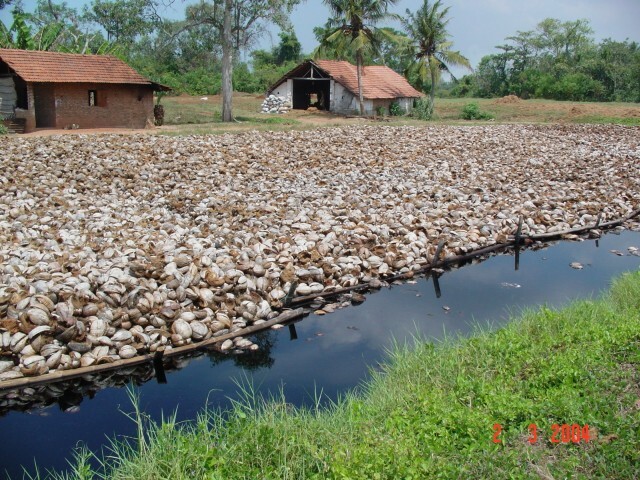 Coir fibre (Coconut fibre) is extracted from the outer skin of the coconut by using the traditional method of soaking the husks for a period of time ranging from three to six months or more. The soaked husk is fed into a mechanical drum with spikes in order to separate the small and weaker fibres (called the "mattress fibre" and "omat" fibre) and the long strands (called the "bristle fibre"). Mattress fibre is packed and shipped out in bales and in twisted rope form. Bristle fibre is well cleaned and is cut to various lengths and is used as a filler for brushes. Bristle fibre is made into several by-products such as coir yarn, coir twine, geo textile, etc . 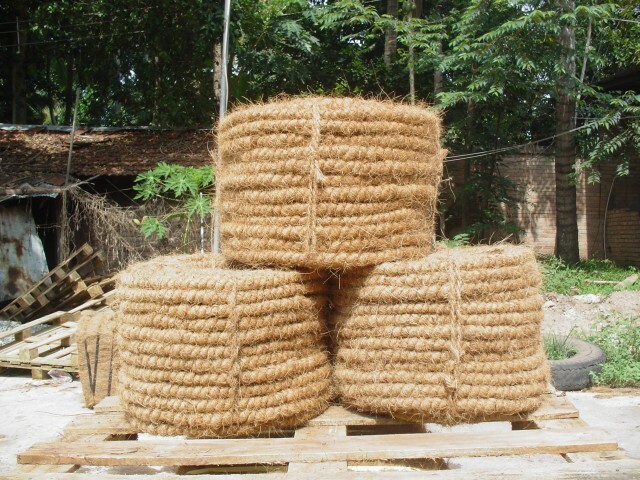 Coir twine is made out of the long strands of bristle fibre. The fibre is twisted around a lead cotting thread producing the twine. 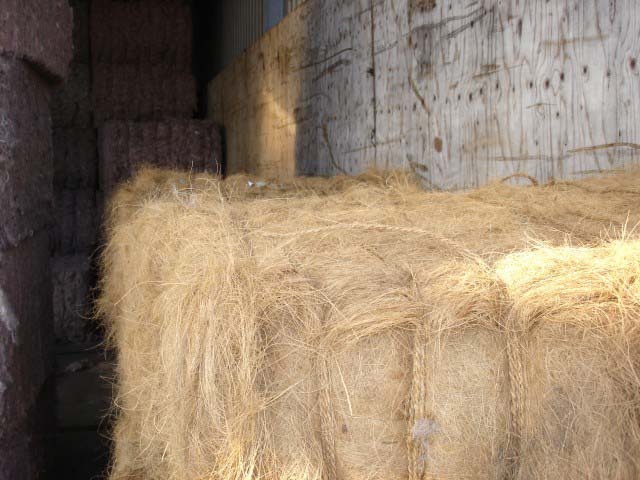 Coir twine is used for agricultural purposes, specially in training the hops. In the recent past the twine has become a raw material for woven matting etc. 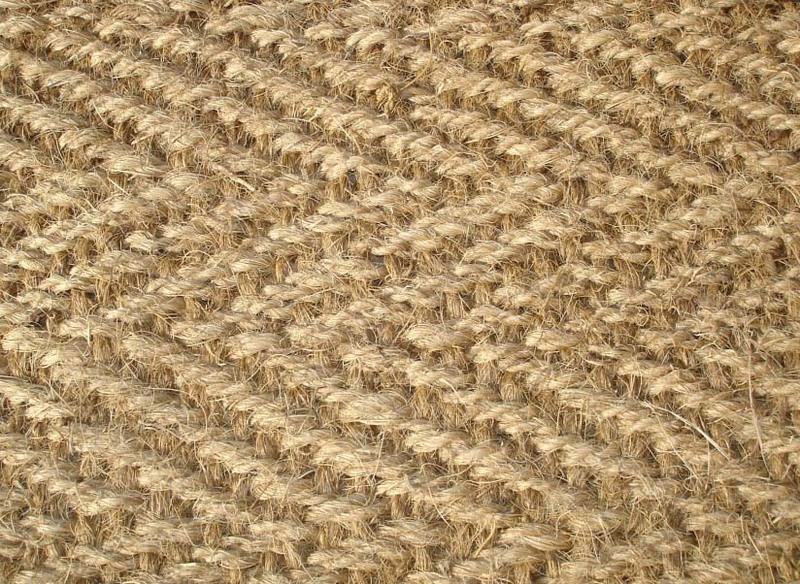 Coir yarn twisted from the decorticate fibre(unseparated fibre from coconut husk into mattress, omat and bristle) traditionally spun with hand as a cottage industry and now by using semi-mechanical device is the raw material for coir matting, PVC backed coir, Powerloom brush mats etc. 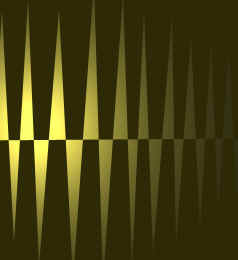 and is in great demand by the industries all over the world. The adhering pith to the fibre strands accumulates into huge mountains of dust. In the recent past this has found to be a substitute for peat as a growing medium. Growers have found dust to be ideal for growing tomatoes and strawberries in particular. Coir dust - also known as as the cocopith - is shipped out from Sri Lanka and India in small briquettes, bales and bag form for different uses.